Nelson Mandela Metropolitan University graduate Devon-Jon MacKenzie started his career at SMSPortal with a student internship. SMSPortal – the successful bulk SMS marketing business used by the likes of Pick ‘n Pay and Anglo American – was started in a Port Elizabeth garage in 2002 by two students from Nelson Mandela Metropolitan University. Today, the business has an annual turnover of over R300m and a growing international customer base, but founders Charles Stretch and James Pearce remain loyal to their roots. 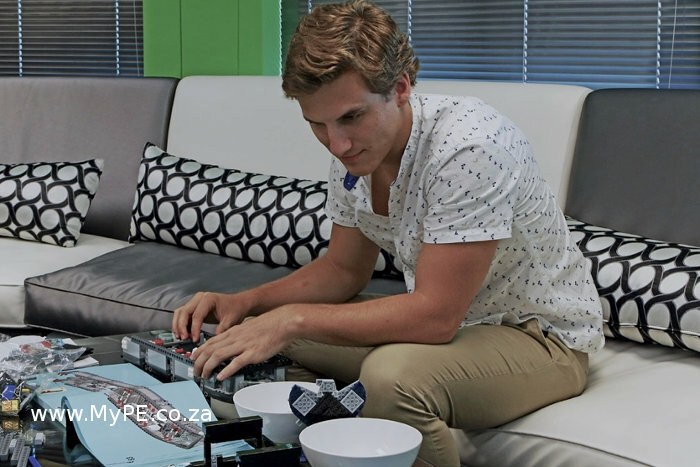 The company, which has offices in Port Elizabeth and Cape Town, has eight NMMU graduates within its broader team – and this year kicked off enticing paid internships in Cape Town for NMMU Computing Sciences or IT students or graduates. The next one is in June. The company’s innovative application process requires applicants to first solve a programming riddle before SMSing their names to the company for the process to continue. The upcoming internship – which is open to two NMMU third-year students or graduates – runs from 27 June to 10 July. In addition to a R7,500 salary for the two weeks, SMSPortal covers the student’s transport costs to Cape Town and provides free accommodation. In January, it hosted its first student interns, both from NMMU, for a month. Among the highlights for MacKenzie was “creating quality software with high quality developers” and “Food Fridays”, where the whole office gets take-outs every second Friday. “The best thing I learned during the internship was unit testing. That might sound boring, I know. But it’s a really important part of software development that I used to over-look. We touched on it at varsity, but you don’t realise how important it is in creating robust software until you see it in real world application. “NMMU is a university that is close to our hearts,” said SMSPortal Brand Manager Ryan Louw, himself an NMMU graduate. SMSPortal’s core market is in South Africa, but they also have customers in Ireland, the UK, Australia, Namibia and Nigeria.